LIVINGSTON, Scotland – 19th June 2017 – Elite Control Systems is delighted to announce the use of wireless technology to provide a solution for one of its key clients. The wireless system was installed on their large Stacker and Reclaimer machines located in a remote part of Tarmac’s Dunbar site in Scotland. 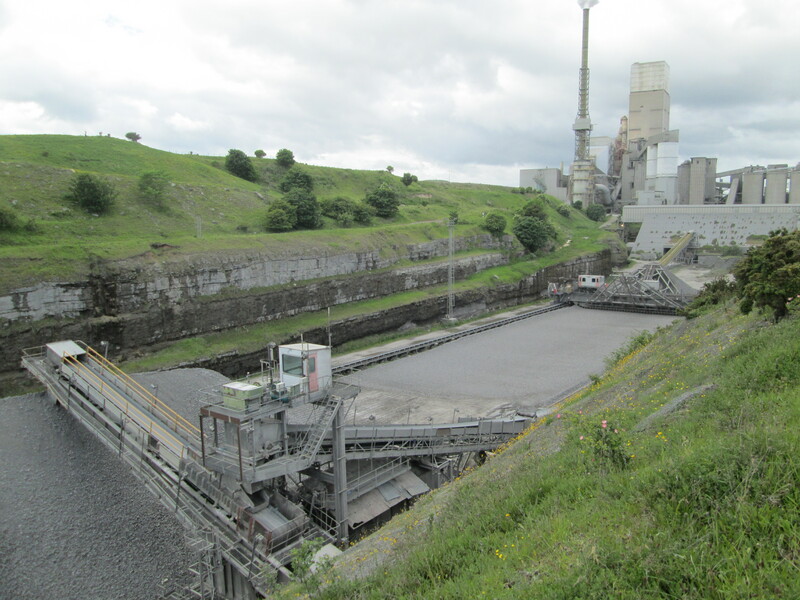 Raw material is transferred from the quarry on to the conveyor system that feeds into the Stacker. As the name suggests, this machine stacks the product in an even pile in readiness for future reclamation by the Reclaimer which feeds the Raw Mill. 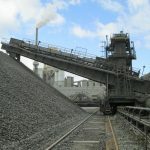 The un-manned Stacker and Reclaimer machines are located in a fairly remote area of the cement works and travel along a rail track creating a consistent accumulation of raw material. The Stacker will continue to transfer the raw material into a uniform stockpile until it senses that the level of product has reached its required height. Once a pile has been built, it will be reclaimed by the Reclaimer and mixed with other raw materials before being ground into a raw meal in the Raw Mill. When Tarmac asked Elite Control Systems to assist Siemens in providing them with a way to monitor the Stacker and Reclaimer’s activities through the plants existing control system, Elite devised a custom solution. The standard way of connecting to a remote machine such as Tarmac’s Stacker and Reclaimer, would normally involve running new cables in what can often be considered as an expensive and disruptive installation procedure. By utilising a wireless solution, most of this type of installation work was not required. The application did call for a thorough preliminary assessment involving an initial wireless audit. This was essential to ensure that the wireless solution could be implemented successfully in this instance. Working closely alongside the manufacturer of the wireless equipment, Elite Control Systems carried out the wireless assessment of the area where the new system would be installed. Elite then proceeded to install the specified Siemens Scalance™ wireless communication system. This work involved mounting the necessary wireless communication equipment at suitable points on both the plant, and the Stacker and Reclaimer. These devices continuously transmit signals directly from the machines. This effectively provides the necessary status information and makes it possible for plant engineers to remotely monitor the desired machine parameters. By further integrating this system into Tarmac’s existing site network, the Stacker and Reclaimers status is now able to be visually displayed in the main PCS7 system control room. Founded in 1992, Elite Control Systems Limited specialises in systems integration. It is known for helping companies within a variety of industries to use fast-moving process control, automation and information technology to achieve their business objectives.